V. N. Vološinov’s important work, first published in Russian in 1929, had to wait a generation for recognition. This first paperback edition of the English translation will be capital for literary theorists, philosophers, linguists, psychologists, and many others. 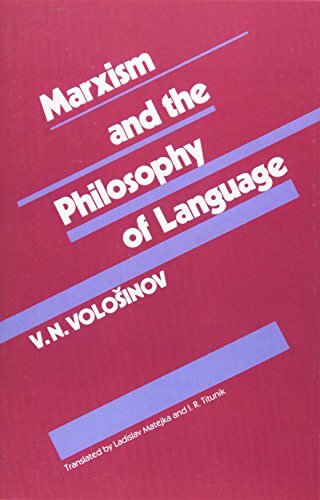 Vološinov is out to undo the old disciplinary boundaries between linguistics, rhetoric, and poetics in order to construct a new kind of field: semiotics or textual theory. Ladislav Matejka and I. R. Titunik have provided a new preface to discuss Vološinov in relation to the great resurgence of interest in all the writing of the circle of Mikhail Bakhtin. If you have any questions about this product by Harvard University Press, contact us by completing and submitting the form below. If you are looking for a specif part number, please include it with your message.